Hello. 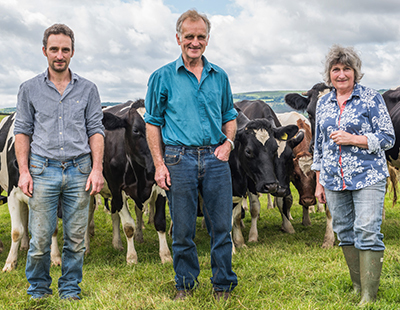 My name is Marilyn Brook and together with my husband Chris and son Geoff, we run Haylake Farm, situated in the middle of Devon, not far from Dartmoor. Haylake is a traditional Devon mixed farm comprising 68 Pedigree British Friesian Organic Dairy Cows, 10 Pedigree Devon suckler cows and some dairy young stock. We also have 200 Dorset Sheep. In all, we farm 400 acres, with 90 owned and 310 rented. We began milking in 1983, and converted to organic in 2000 as we felt it was the right thing to do. Haylake has been in the family since 1942 and has always been a dairy farm. In fact, according to the Domes Day Book a farm has been here for many centuries, called Heilek, which means an enclosure by a stream.